The Scraffito – Haus named after a Scraffito covering two sides of the building reminded me a little of a big comic strip but with a serious topic. Which building covered with fascinating Scraffito do you know? 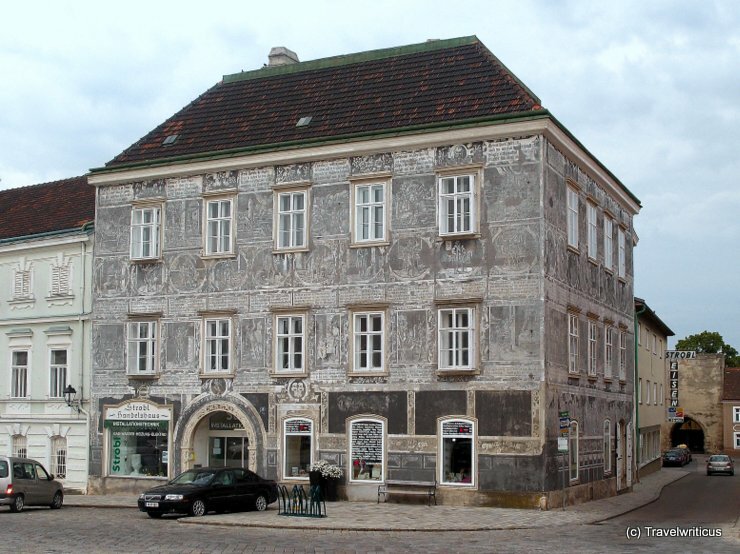 This entry was posted in Photos and tagged Austria, Lower Austria, Retz, Weinviertel by Travelwriticus. Bookmark the permalink.